I’m pleased to announce that after a lengthy search process the Board of the Colegio Anglo Colombiano in Bogotá, Colombia, has recently appointed Raymond Williams to be the school’s new Rector (Head of School). Raymond is currently head of New Cairo British International School, and was previously head of the British School in Quito, Ecuador. Earlier in his career he worked in leadership positions at the British Schools, Montevideo, Uruguay, St George’s College North in Buenos Aires, Argentina, and Beijing Biss International School in China. Raymond will start in his new job in late July 2017. 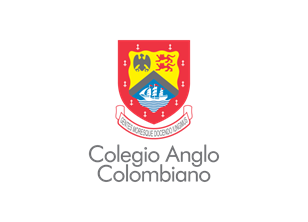 The Board of Governors of the Colegio Anglo Colombiano in Bogotá is looking for an exceptional Head of School to lead and inspire the school in the next stage of its development. They have invited Search Associates to assist them in their search. The Colegio Anglo Colombiano (CAC) was founded in 1956 to provide students with a bilingual college preparatory education. It is a private, co-educational, non-denominational, international day school based upon the British educational system with a proud bicultural heritage. The campus is located on a large 29.5 acre campus in the northern part of Bogotá. The school is accredited by the Colombian Ministry of Education, by the International Baccalaureate Organization (IBO) and by the Council of International Schools (CIS). It is also proud to be a full member of the global Round Square organisation. The student population is currently 1822, of which 89% are Colombian and 11% are foreign. The faculty consists of 183 fully qualified teachers and 38 teacher assistants; 32 are British, including the Director, 42 are of other nationalities and 147 are Colombian. The Secondary School has a staff of 102 subject teachers. The academic year begins in the first week of August and finishes in the third week of June. The timetable operates on a six-day cycle with seven periods of 50 minutes each day. The language of instruction is determined by the department and grade level in which the student is taught. Most classes are taught in English for the 11-14 year olds and the proportion of Spanish instruction increases in the final years of school. Timetables are organised so that non-Spanish speakers receive instruction in English with language support for their Spanish learning. CAC has offered the International Baccalaureate (IB) Diploma Programme since 1980, and last year had 115 Diploma candidates. The Primary Years (PYP) and Middle Years (MYP) Programmes of the IB complement and contribute towards the Diploma Programme offered in grades 10 and 11. All courses are college preparatory. In order for students to follow the IB Diploma they must have at least 3 recommendations at Higher level from their MYP teachers. Approximately 94% of the students register for the IB Diploma and others prepare for obtaining the compulsory IB English A Literature or Language & Literature certificate along with any other subject of their choice. Furthermore, the syllabus has been complemented in order to meet the requirements of the Colombian system of secondary school education and to obtain optimum results on the national college entrance exam, “Prueba del Saber”. The school is also a USA SAT Approved Centre. The school has a traditional house system and students are highly motivated in these house competitions. Every student is a member of one of the four Houses. House competition involves sports, dance, drama, song and recital, as well as debates and general knowledge quizzes. They are enthusiastically organised by the students themselves, and led by the house captains, vice-captains and sports-captains. Students from CAC are also involved in other activities such as sports within the school, in national and international sports tournaments, Model United Nations, school musicals, Student Council, Go-Green, Math Olympics, International Award, the literary magazine, Round Square, and community service. For further information please see www.anglocolombiano.edu.co. The position of Head (Director) requires a talented, confident and energetic administrator who has demonstrated success and enjoys working in a 100% bilingual and bicultural environment. The successful candidate will be a strong leader willing to develop the school’s vision – that is to form students who are balanced, with a strong sense of integrity, conscious of and committed to their environment, and capable of success in the field and place of their choice. The ability to speak Spanish, or the willingness to learn. The following statement serves as both a job description and a set of criteria for evaluation of the Head’s performance. The Head reports directly to the school’s Board of Governors. (a) Overall purpose: to provide inspirational leadership and manage the administration of a large British-style international school. To ensure the continuous striving for the achievement of the school’s vision. (b) Specific functions include: planning; development, implementation and monitoring of school policies and strategic plan, the recruitment, retention and professional development of staff; curriculum review and adjustments subject to local law; technology investment; facility planning and maintenance; Government and community relations; parent relations; student relations; financial management and budget compliance. Many of these functions to be accomplished through the efforts of qualified staff. (i) Board of Governors: regular communication on strategic issues, budget approvals and financial forecasting, staff compensation, fee and tuition levels, proposals for funding, regulatory matters, security issues and policy development. (ii) Board Chairman: weekly communication on policy interpretation, regulatory and legal matters, public relations issues, board agenda preparation and significant operational or financial issues. (iii) Senior Management Team (SMT): daily contacts on policy and operational issues, planning activities, problem resolution, curriculum issues, spending approvals, school-wide communication planning, asset and material allocation, personnel policy and disciplinary issues, student-related matters, staff reward and recognition, recruiting. Periodic planning and progress reviews conducted. (iv) Staff: daily communication to confirm SMT decisions and school policy enforcement, overall leadership and motivation to achieve school objectives, points of last appeal for staff and student issues, role model for school values, daily visibility. (v) Students: overall guidance, role model and leadership, daily visibility on campus. (i) Ministry of Education officials: periodic communication on policy and administrative requirements, overall positive relationship management. (ii) British Government staff: periodic positive relationship management for support with local regulatory issues, ongoing discussions to maintain vigilance on security matters, co-ordination of events to support school agenda. (iii) External vendors: proposals evaluation and decision-making, conflict resolution, ongoing supervision of active projects. (iv) Security personnel: maintenance of acceptable security programmes and presence, overall relationship management to ensure proper coordination between school, private and government personnel. (v) Professional organizations: ongoing contact with and participation in professional organizations to maintain connections and knowledge of latest development in education, participation as a speaker or panellist in conferences. (vi) Local community: periodic attendance at community functions, general and individual meetings with concerned parents, discussion as needed with corporate representatives of employees who have students enrolled, and occasionally interviews with the media. (vii) British community: maintain and develop close relationship with the British community and British entities. (i) Develop an appropriate school culture to facilitate the education process and maintain the high quality of the school’s programmes. (ii) Provide appropriate leadership to motivate staff to achieve the school’s goals. (iii) Ensure the high quality of the teaching and administrative staff (numbering 250+). (iv) Implement the strategic plan at agreed intervals, and an annual operating plan and budget. (v) Manage in a ‘no surprises’ environment with consistently excellent communications to all constituents. (vi) Ensure the presence of effective school policies and their consistent enforcement. (vii) Balance the need to invest in new programmes and technologies against the need to maintain overall financial viability. (viii) Preserve the integrity of the school’s educational approach and make critical adjustments to keep the curriculum robust and responsive to the needs of the community. (ix) Serve as a role model for staff and students; ensure a strong relation with students either through teaching a class or other student-head activities. Design and lead mentoring processes for certain students. (x) Measure and present to Board of Governors the whole school indicators measured. (i) Influence the regulatory agenda to account for the needs of the institution. (ii) Raise the school’s reputation as the country’s leading international school, by means of attendance and active participation in different meetings and associations of international schools. (iii) Maintain an appropriate relationship with the community that looks to the school to educate their children. (iv) Present a responsive approach to the external security issues affecting the community. (v) Maintain an appropriate level of connection to all relevant professional organizations in order to keep abreast of developments in education and support the school’s recruiting needs. (vi) Maintain an ‘open door’ policy to concerned parents or other constituents. (vii) Develop an ongoing understanding of the education market in Colombia and South America and other appropriate regions, in order to ensure the school’s competitiveness and quality. 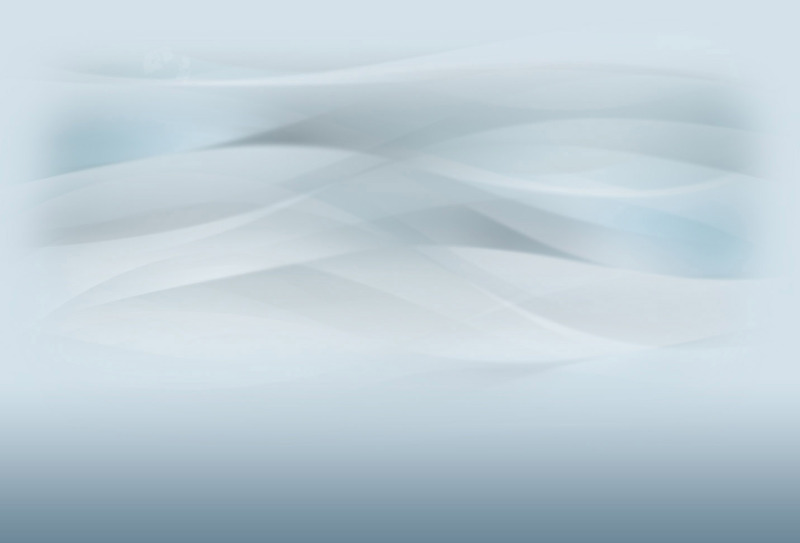 (ii) Provide direction for financial decisions regarding capital expenditures. (iii) Initiate and set overall targets from the annual budget planning process. (iv) Receive regular reports and review the school’s financial performance, making decisions on an ongoing basis to correct any deficiencies. (v) Make decisions and review SMT decisions within authorized limits. (vi) Report significant financial developments to the Chairman and Board of Governors without unnecessary delay. (vii) Foster a culture of transparency and anticipate changes that materially affect the school’s financial condition. (i) Maintain a curriculum and extra-curricular activities that meet all requirements to maintain the school’s accredited status and its reputation as the premier international educational institution in Colombia. (ii) Foster an attitude of genuine concern for the well-being of the students, and engage the student’s families in the process of programme development. (iii) Demonstrate sensitivity to the culture of the local environment as well as the cultures of the other nationalities enrolled at the school. (iv) Maintain enrolment at or near capacity. Lead and manage the admissions process of the school. (i) Ensure the presence of appropriate policies for all major employees, financial and operational processes and activities. (ii) Foster a culture of vigilance for opportunities, for improvement and quality. (iii) Maintain a regular communication process with all the relevant constituents. (iv) Contribute to the Master Plan development, review and implementation with a view to efficient capital investment and facility renewal. (v) Review the school’s security programme regularly and recommend any necessary improvements. (vi) Review and target areas for improvement in order to maintain the school’s accredited status. (vii) Provide input into the Board of Governors agenda and supply required information to support meeting discussions. (viii) Raise significant issues for Board of Governors consideration as necessary. (i) Recruit, retain and develop qualified staff, to deliver the curriculum effectively. (ii) Ensure an appropriate mix of British/internationally recruited and locally recruited staff, to meet the school’s requirements and control staffing costs to ensure the school’s financial viability. (iii) Ensure a satisfactory process to secure the required visas for the internationally recruited staff to avoid unnecessary delays in staff availability. (iv) Maintain competitiveness in the school’s compensation and benefits policies and recommend changes as necessary to the Board of Governors. (v) Provide leadership and motivation to the Senior Management Team (SMT), ensure alignment between all SMT members, and serve as a role model for each of the school’s Section Heads. (vi) Develop and implement a succession plan for all SMT positions. (vii) Delegate sufficient authority to the SMT to enable them to carry out their responsibilities, and serve as a proactive arbitrator for any issue escalated to the Head’s office. (viii) Serve as a visible and approachable leader and maintain a collegial environment. (ix) Conduct periodic evaluations of staff and SMT performance on an appropriate cycle. (i) Decides and approves all staff hiring and firing. (ii) Approves expenditures within the approved operating and capital budgets; recommends budget adjustments and submits the annual budget to the Board of Governors for approval. (iii) Approves all actions within all approved third party contracts; recommends significant contract approvals to the Board of Governors. (iv) Approves or delegates authority for student disciplinary action. (v) Approves or delegates authority for curriculum delivery and the selection of appropriate materials or resources. (vi) Initiates/activates any necessary emergency procedures and actions according to circumstances. Interested candidates should send their application to David Cope of SEARCH ASSOCIATES as soon as possible and absolutely no later than 31 January 2017. Please note that, if an outstanding applicant is identified early in the search process, the Board of CAC reserves the right to make an appointment before the deadline mentioned above and to bring the search to an early close. It is therefore important that interested candidates apply at the earliest possible time.